Garden of Life DetoxiFiber is a whole food fiber blend that supports internal cleansing, and the first fiber supplement that actually impedes toxin recirculation. Toxins, including those excreted by the liver, are mainly removed from the body through the gastrointestinal tract. Once inside the intestines, toxins are either eliminated or re-circulated into the body. This "entero-hepatic recirculation" of toxins is a major obstacle to the body's complete removal of environmental toxins. DetoxiFiber has been formulated for exceptional absorbing capacity and ability to resist breakdown and fermentation by intestinal flora. This impedes toxins captured by its fibers from being re-circulated back into the body, maximizing toxin removal. To jump-start your detoxification process, begin with the convenient and easy, all-natural Garden of Life Perfect Cleanse Kit. 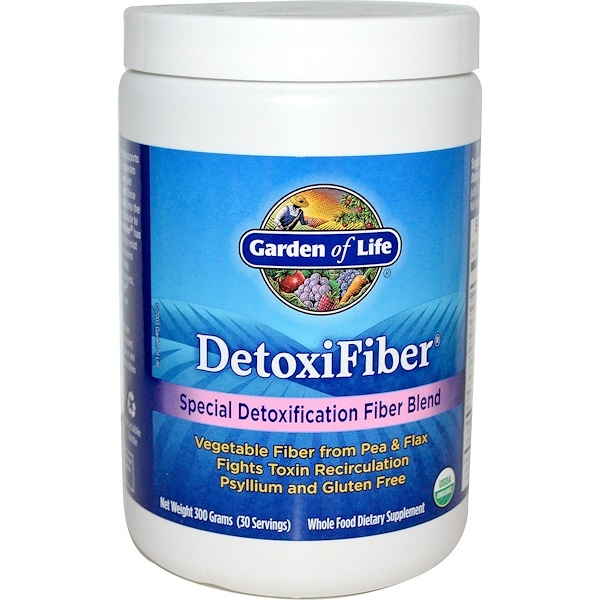 After completing Perfect Cleanse, use DetoxiFiber regularly. 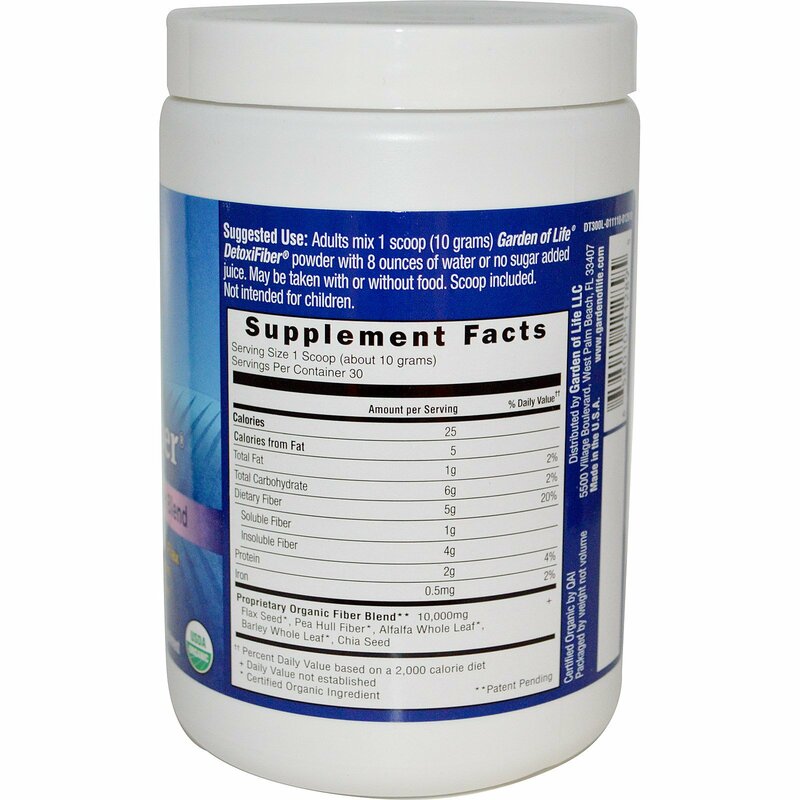 Adults mix 1 scoop (10 grams) Garden of Life DetoxiFiber powder with 8 ounces of water or no sugar added juice. May be taken with or without food. Scoop included. Not intended for children. Vegan. Dairy free. Gluten free. Caution: As with any dietary supplement consult your healthcare practitioner before using this product, especially if you are pregnant, nursing, anticipate surgery, take medication on a regular basis or are otherwise under medical supervision. Medication should not be taken at the same time as DetoxiFiber. †† Percent Daily Value based on a 2,000 calorie diet.